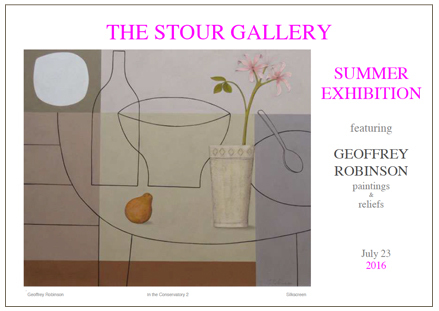 The Stour Gallery is now in its twenty first year. Keep up to date with our most recently acquired pieces of work from selected artists. Our opening hours are Tuesday - Saturdays 10.00am - 5.30am. If you are making a special journey, please contact The Stour Gallery prior to your visit to make sure we are open.…..we would not want to disappoint!